Your home may be the single biggest investment you ever make. Does Your House Insurance Put You at Risk? Are you sure you've protected your home with adequate insurance? Let our experts review your homeowners’ policy and make sure there aren't any gaps in coverage. - What exactly does home insurance cover? - Does my current policy offer all the coverage I need? - Where can I compare home insurance quotes? As one of the leading home insurance agencies in Santa Cruz, we help you find the right insurance plan for your home and budget. Not only do we customize a home insurance policy to fit your specific needs, we provide you with secure online tools to manage and update it yourself. No two homes are alike. From mobile homes and condos to starter homes and vacation homes, we offer policies that protect every type of residential property. You shouldn't have to pay for home insurance you don't need. We develop reliable and comprehensive insurance quotes based on your goals and budget. Connect with an Expert Now! Your home is an investment, but it's so much more than that. It's the place where you relax after a hard day at work, or it might be the place where you run your business. It's where you create a lifetime of memories with family and friends. This important space deserves the very best protection from disasters, destruction and accidents. 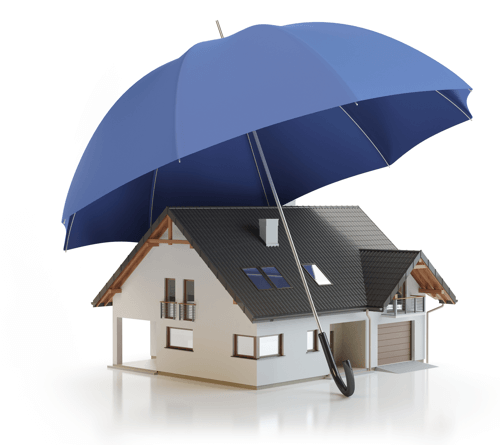 Home insurance offers that and more depending on your customized policy. In the event of a disaster or accident, it can cover structural damage as well as your belongings with contents insurance. A customized policy can reimburse living expenses if your home becomes uninhabitable. It can even cover liability if you're legally responsible for someone else's injury or property damage. Dwelling coverage is designed to help pay for damage to your home. Other Structures coverage protects your detached garage, tool shed and other unattached structures. Generally, the coverage is 10% of the amount for which your home is insured. Personal Property coverage pays for loss of your personal belongings such as clothing, furniture, TV, stereo and other unattached possessions. We recommend reviewing this coverage with our team to make sure you're fully protected. A homeowners’ insurance policy normally provides limited coverage for collectibles, jewelry, furs and similar items. It may be necessary to insure your valuables with a Personal Property Floater. This type of coverage is broader than the coverage in a standard homeowners’ insurance policy. Your homeowners’ policy provides Personal Liability coverage to protect you against a non-auto claim in which you were at fault. Liability coverage takes care of both the cost of defending you and any damages that the court orders you to pay. Liability insurance doesn't have a deductible that must be met before payment of losses. We can review your current coverage limits and help make sure you have enough protection in this important area. Medical Payments coverage is designed to pay for injuries to anyone outside your family. It can often help settle small injury claims before they become big claims in court. This isn't the same as medical coverage for you and your family. Where will you live if your home is badly damaged? If you need to move into a hotel or apartment because of damages to the house caused by a covered loss, your homeowners policy covers the stay subject to policy limits. Whether you need a new policy or want to update your current insurance, house coverage is a vital part of your security as a homeowner. We're prepared to do everything necessary to help you find exactly what you need. To learn more about the different personalized plans we offer, contact the Santa Cruz insurance experts here at Allanson Insurance. Give us a call today for a house insurance quote that covers your needs and works with your budget. You guy are the best!......as simply as that.